Although their campaign has concluded, if you would still like to make a donation to support PACT, you may always do so here. 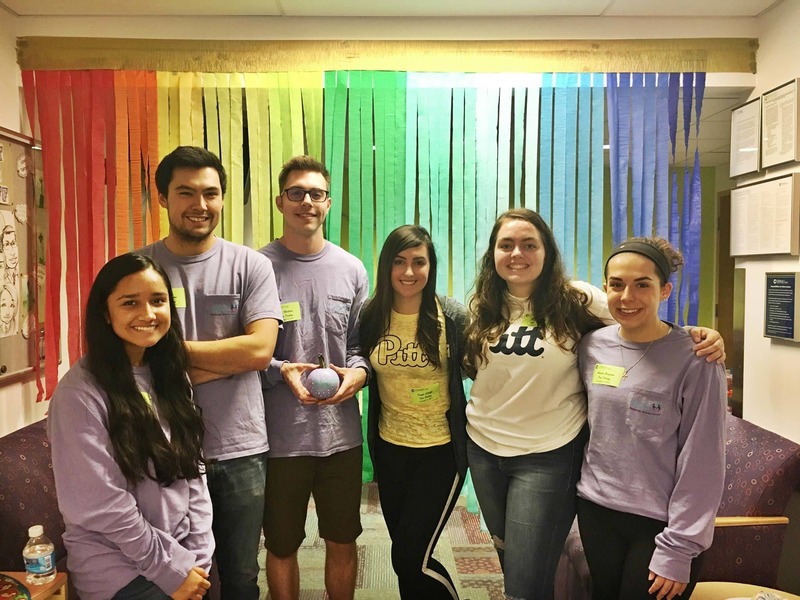 Pittsburgh Attacks Cancer Together (PACT) was started by Ryan Gilbert and Brad Smertz during their freshman year at the University of Pittsburgh in an effort to support the UPMC Hillman Cancer Center in Shadyside. What began as a handful of dedicated individuals with a mission to create a more grassroots effort for cancer research has grown into a 180-person organization. While our focus is raising money, we also engage in community service and advocacy events for the cancer community. 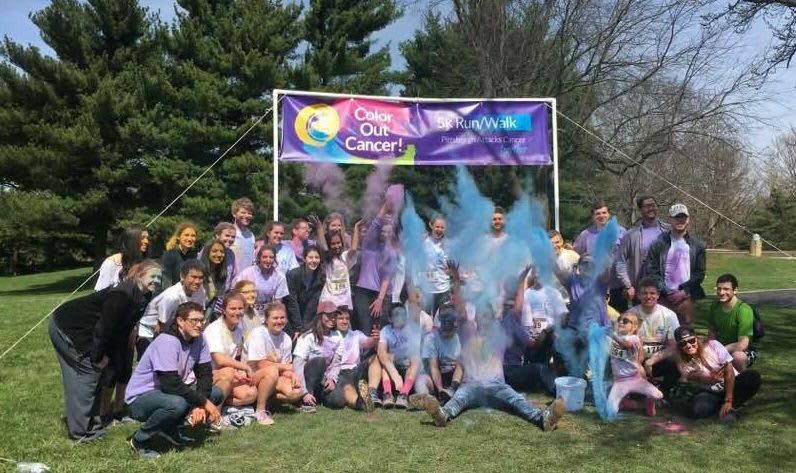 For the past two years, our primary fundraising event has been our Color Out Cancer 5k/Color Run. At our first annual Color Out Cancer 5k/Color Run held in April 2016, we had 100 attendees and raised $5,000. Our second race had over 250 attendees and raised an incredible $25,000. While we are more than excited about this incredible growth, we know that our group has even more potential. We have decided to set the bar high with a goal of raising $50,000 at our 3rd annual race which will be held on April 15, 2018. This year, we have decided to supplement our Color Out Cancer event with this crowdfunding campaign! We hope that this campaign will allow a wider audience the opportunity to support PACT's cause and join us in our goal of funding innovative and cutting edge cancer research! All donations to this EngagePitt campaign will directly support the UPMC Hillman Cancer Center and its partnership with the University of Pittsburgh School of Medicine. Your contribution to this campaign will directly support our fund of choice, the UPMC Hillman Cancer Center Director's Discovery Fund. 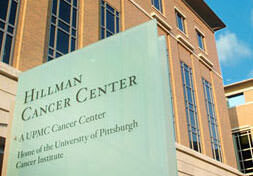 Your gift is tax-deductible, and the UPMC Hillman Cancer Center will receive 100% of your donation. Your generous contribution will be fortified by world-class oncologists, leading researchers, and the most advanced technology – all of the elements needed to bring us closer to better understanding how to diagnose, treat, and prevent cancer. Why Should You Support PACT's Mission? We believe the Hillman Cancer Center’s innovative work in the field of cancer research has the potential to save countless lives. Our organization’s mission is so important to the Pitt community because of the strong relationship that the UPMC Hillman Cancer Center has with the University of Pittsburgh School of Medicine. The research being conducted will allow for groundbreaking discoveries to be made and will bring hope to people who are in the fight of their lives against cancer. By supporting the important work of the UPMC Hillman Cancer Center, in partnership with the University of Pittsburgh School of Medicine, you are allowing our clinicians and scientists to undertake innovative projects with potential to drastically re-shape the medical landscape. We at PACT believe that every bit of effort moves us towards our goal but not without hard work, the generosity of people like yourself, and belief in the possibility of a cancer-free world. Each year, 12.7 million individuals around the world discover they have cancer. The sheer size is incredibly intimidating, but with the research being done day in and day out by the brightest minds the world has to offer, one can now have hope because of people like you! 1 in 8 women will be diagnosed with breast cancer in their lifetime. Every woman 20 years of age or older should be conducting regular breast self-exams (BSEs). Besides BSEs, once a woman reaches her 40th year, she should consider starting annual mammograms. If diagnosed, breast cancer has a 10-year survival rate of 83%. It’s important for women out there to stay on top of everything! Your awareness is the first step! A third of cancer-related deaths each year could have been prevented through early diagnosis and treatment. It’s on aware individuals like yourself to make sure your family and loved ones go to the doctor routinely! Keep up your amazing work! Worldwide cancer cases are expected to rise by 50% by 2030. Your donation helps make sure that we can tackle these new cases as they come along! You’re a hero! The overall survival rate for childhood cancers is 90%. This number used to be a measly 10% only 40 years ago; however, innovative cancer research has created a brighter future for children everywhere. Parents worldwide thank you, you’re doing a wonderful thing. The current survival rate for lung cancer is 18.1%. Just recently, in 2012, only 11% of patients survived this horrible disease. A 7.1% progression in only 6 years is remarkable and your donation sparks fire in researchers dedicating their lives to making sure that number goes up. You are the progress this cause needs! 454.8 out of 100,000 men and women are diagnosed with cancer each year. That’s 454.8 out of 100,000 individuals whose lives have been completely flipped upside down. Your donations help us rectify that and get those people back on their feet. You’re saving lives! Keep fighting! Approximately every 9 minutes, someone in the United States dies from a form of blood cancer. Blood cancer survival rates have increased dramatically over the past twenty years, however, Leukemia, non-Hodgkin lymphoma, and Hodgkin lymphoma (the three main blood cancers) are some of the most common cancers in young adults. Your donation is helping keep someone's 20's a fun-filled decade, so thank you. You’re amazing!